Next year is likely to be one of consolidation as cloud becomes more prevalent and businesses embrace the trend as they look to transform the way they work. Here are some predictions as to how the cloud will evolve over the next few months. In 2014, I believe that the cloud will become more mainstream. Many businesses will finally admit they can make savings and gain a competitive edge by moving to the cloud while the laggards will slowly move into the cloud. Cloud email management and productivity will be the easy and early wins for businesses next year. This quick and simple investment will help IT managers control the Shadow IT created by consumer cloud services like Dropbox, Evernote or Box.net. With cloud certification, IT managers are confident that their security requirements are being met, and will be keener to move to the cloud to take the business to the next step. In 2014, businesses who can't wait for their chosen cloud service to mature enough to be comparable to their expectations will start to leverage third party cloud providers in a hybrid cloud model. 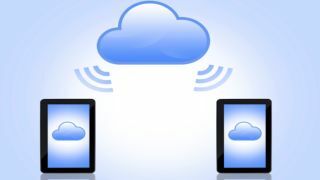 This will be possible by using two cloud providers who cooperate to provide an enhanced level of functionality. This collaboration will in turn solve their current problems and help them move to the cloud, and get the service they really need faster. We expect the cloud to be the main location where growing data can be stored, accessed and analysed. One of the key developments for providers seeking to attract customers will be to add software and services to enhance their offering and jump on the mobile trend. By getting those added services in place, IT managers will be more able to control the Shadow IT of hidden data this switch will create. In 2014 I think the cloud will start to offer significant upticks in technology and functionality for customers. As per their nature, cloud vendors are capable of being more dynamic and innovative than on-premise vendors of classic technologies like email archiving. Add-ons and updates are automatically made by the vendor so delivering innovation is far easier. As an example, email archiving that is rigidly stuck to the LAN will be eclipsed by cloud vendors (like Mimecast) who can offer more than simply the storage model, so many are locked into to. Offering ways of exploiting data to drive business value and business intelligence is a good example of how this might work. I believe that security has become mainstream for both individuals and companies. For example, email is the first point of contact in any company and represents a massive amount of corporate data. However, it is often underestimated as a potential security threat. Most companies only see inbound spam as a threat, but in reality there are more issues with outbound emails. As spammers, scammers, botnets and phishers struggle to get emails past the classic email security defences, they are increasingly turning to the use of compromised corporate accounts. Access to corporate accounts in many large multinational organisations can be rented for this purpose; or more increasingly targeted phishing attacks are compromising corporate accounts to allow the attack long term access under the radar. Due to recent events that made the headlines, I think 2014 will be the year for companies to concentrate on security and see those threats with a new eye. We're getting quite good at amassing information, but in 2014 the emphasis will change to the use we are making of it. Compliance is the key driver for archiving decisions, which means huge amounts of data being stored – much of it in the cloud – ostensibly for nothing more than long term data retention. From email archives, we now add files, voice, social media streams, and so on. The archive is getting richer and richer, but as yet there is insufficient focus on the potential utility of that data. So, in 2014 we'll see data science, analytics, big data if you will, emerge around the archiving ecosystem, with business decision makers keen to gain insights and understanding from the data, and metadata, that they are storing. Orlando Scott-Cowley is Internet, Messaging Security & Compliance Expert at Mimecast.